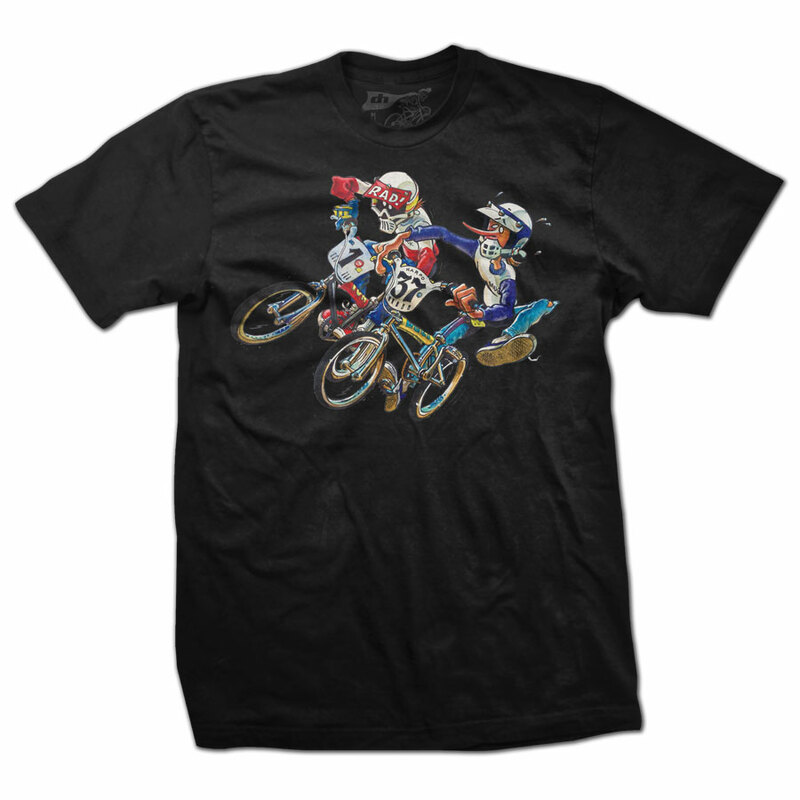 From the totally radical mind of legendary Damian Fulton comes our latest Radical Rick series shirt - HOLESHOT! 1980's BMX PLUS! magazine's Radical Rick and his trusty sidekick MX Mug are throwing elbows and gettin' down to business. 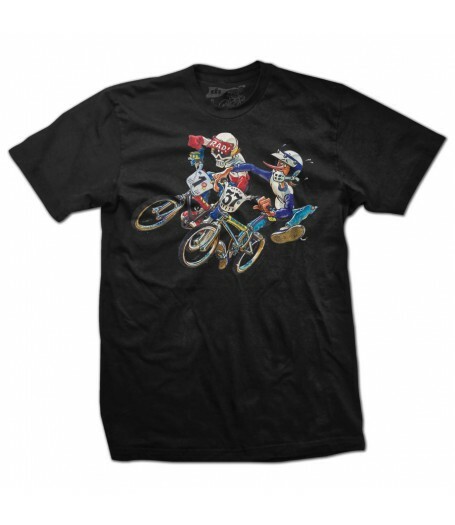 If you rode a bmx bike in the 80's, you know exactly who these guys are. Black shirt with full color graphic. Shirts are 100% soft cotton!